Students will take ownership in the classroom with jobs. It’s a great way for you to manage your students’ responsibilities. There are 96 choices of student job titles. 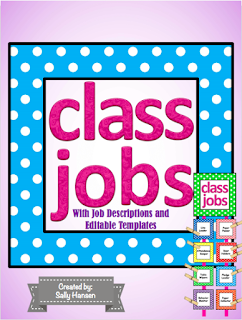 You can use the job cards as a clip chart, on library pockets, or add magnetic tape. There are black and white versions to save on ink. 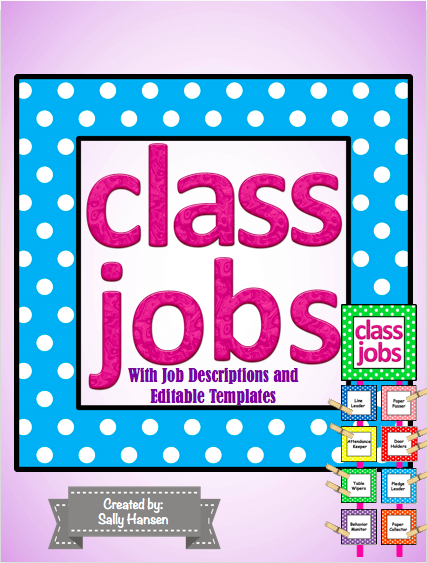 There are editable templates to create your own job and change the wording on a current job. See the editable version.